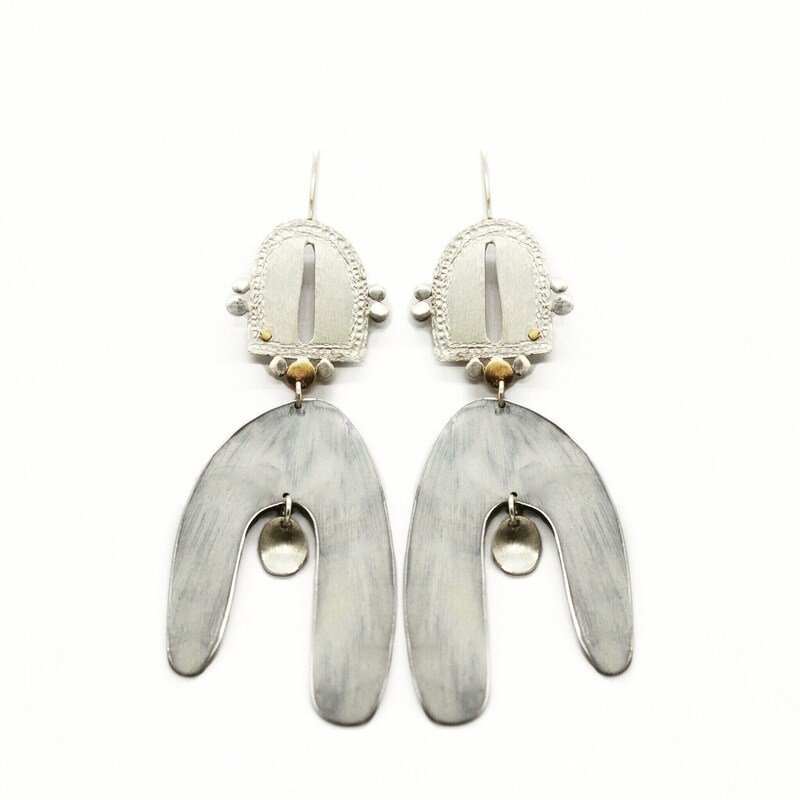 Contemporary Swedish Sami influenced Earrings. My Ancestors are calling me. These earrings were beautifully handcrafted using Silver 18 k Gold & demolished kitchen rangehood and upcycled into these contemporary earrings . Measurements- 8.5 from the ear piercing to the end of earring. Width 3 cm at its widest.